Easy-care 65/35 poly cotton twill - 7.5 Oz. Modeled after one of our best-selling chef coats. Let the mercury rise, the Monterey is ready. 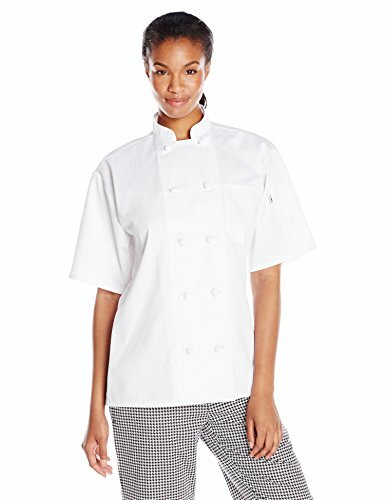 This durable short sleeve chef coat features ten inset knot buttons for a clean, stylish finish.